Phillip De Leon received the B.S. Electrical Engineering and the B.A. in Mathematics from the University of Texas at Austin, in 1989 and 1990 respectively. He was awarded the AT&T Bell Laboratories Cooperative Research Doctoral Fellowship in 1990 and received the M.S. and Ph.D. degrees in Electrical Engineering from the University of Colorado at Boulder, in 1992 and 1995 respectively. He currently holds the Paul W. and Valerie Klipsch Distinguished Professorship in the Klipsch School of Electrical and Computer Engineering at New Mexico State University and serves as the Associate Dean of Research in the College of Engineering. Phillip De Leon is a Senior Member of the IEEE. At NMSU he was Chair of the University Research Council (2010-2011) and Associate Director for the Center for Space Telemetering and Telecommunications (1999 – 2003). He has been a visiting professor in the Department of Computer Science at University College Cork (UCC), Ireland (2002); Institute of Communications and Radio-Frequency Engineering, Vienna University of Technology (TU-Wien), Austria (2008); Multimedia Communications Department at EURECOM Campus SophiaTech, France (2016); Signal and Image Processing Department at Paris Institute of Technology (Telecom ParisTech) (2016). He has been a faculty summer fellow at the Sandia National Laboratories (2016-2019). 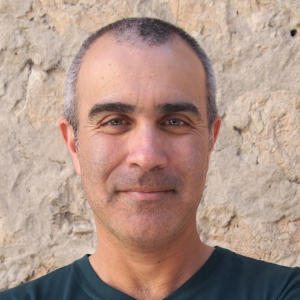 Phillip De Leon teaches undergraduate and graduate courses in adaptive filtering, advanced linear systems, digital speech processing, DSP, embedded DSP, mobile application development (iOS), pattern recognition and machine learning, and signals and systems. He has supervised the research of over 35 graduate students. His research has been supported by federal agencies (Air Force Research Laboratories, Army Research Laboratory, National Geospatial-Intelligence Agency, NASA), Sandia National Laboratories, and industry. He has published over 80 papers in international journals and conferences and has eight U.S. Patents. His research interests include machine learning, speech processing, and time-frequency and signals analysis. 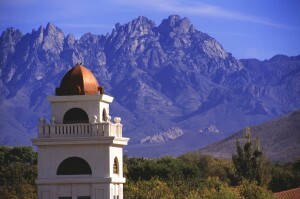 Goddard tower on the NMSU campus with Organ Mountains in the background. Phillip De Leon was the recipient of the Paul W. and Valerie Klipsch Distinguished Professorship (2015), John and Tome Nakayama Professorship in Engineering for Teaching Excellence (2012 – 2015); Foreman Faculty Excellence Award (2014); Bromilow Award for Research (2010); and a Fulbright Faculty Scholar Award from the United States Department of State (2008). He is a member of Eta Kappa Nu and Pi Mu Epsilon honor societies. * in the languages of current and former students–English, Portuguese (Brazil), Chinese, French, German, Hindi, Italian, Korean, and Spanish.